This truck storage model was built to showcase different storage systems designed to make working out of a truck easier and safer. Traditionally, our client would bring a full sized truck to trade shows to highlight their products inside. They were looking for a more convenient way to show customers their product line. 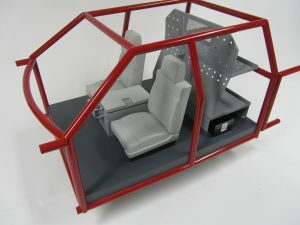 KiwiMill model makers decided to create a stripped down model of a truck cab. A scale model of an actual truck was considered a distraction. 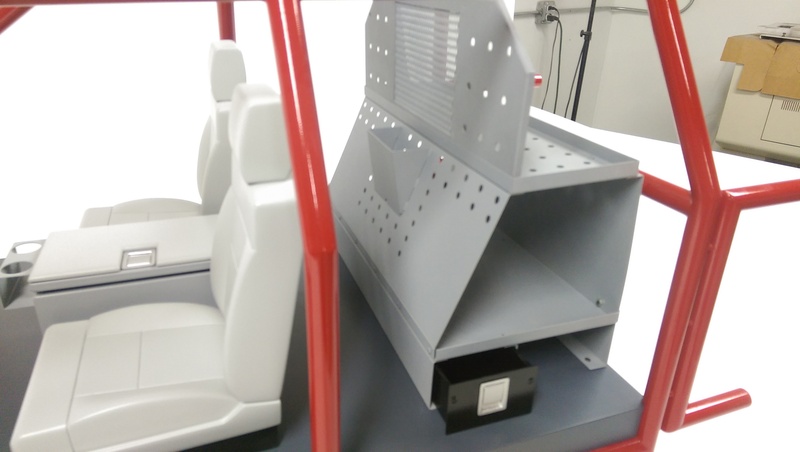 Instead, the focus was on the storage products and how they fit inside a truck’s interior. The truck storage model was big – over 3 feet long. The frame of the cab was made out of heat bent ABS rod and was very sturdy. Our clients products were made out of sheet metal to mimic the real thing. It was understood that potential customers would want to touch the model and the feel of real metal would be appealing. The overall look of the truck storage model attracts attention with the red exterior and extra large size. 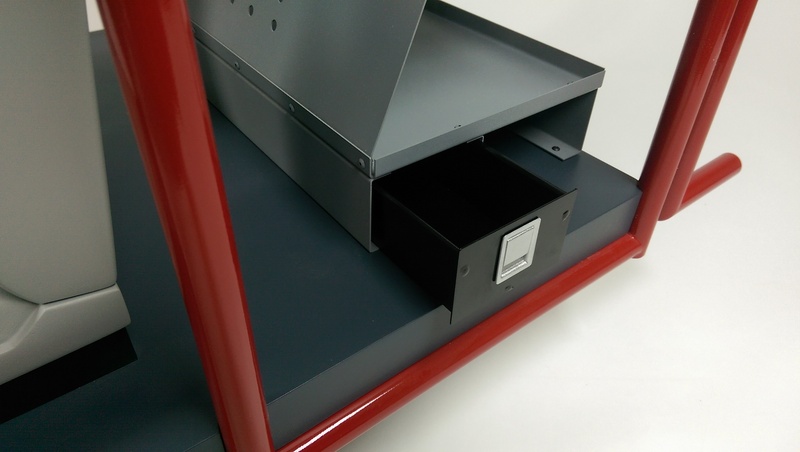 The storage pieces were built to be removable so our client can replace them with new products in the future. This project is a great example of a model built to appeal to a particular audience. 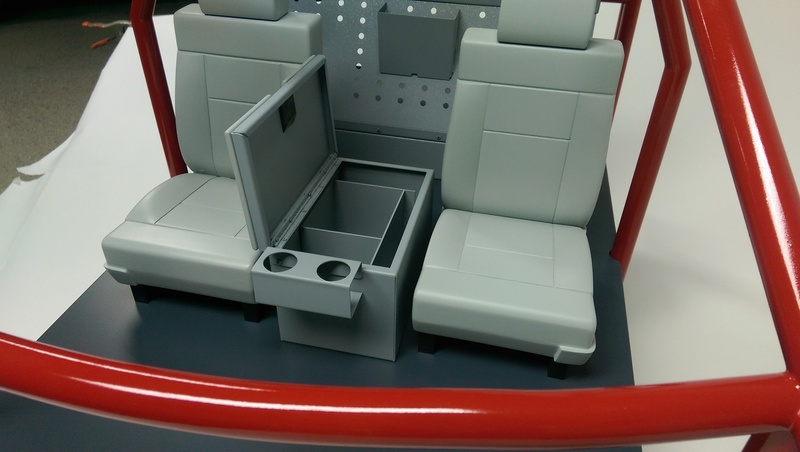 This project was posted in Trade Show Models and tagged center console model, trade show model, truck cab model, truck console model, truck storage model. 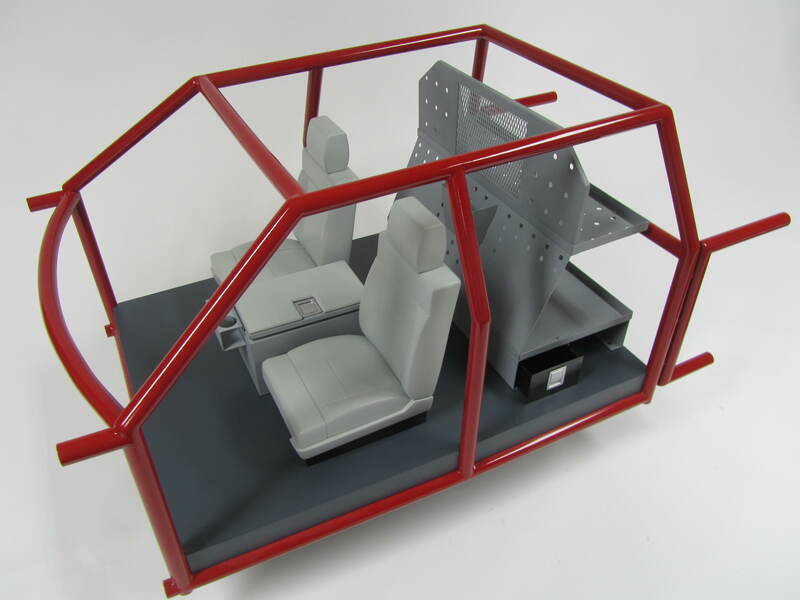 Bookmark this project: Truck Storage Model.